The one thing I do repeat on my weekly menu are snacks. There are two meals a day I consider snacks. I usually pick out two morning snacks and two afternoon snacks for the week and alternate them. This post on 80 Day Obsession Snack Recipes features some of my favorites. I don’t like to eat the same thing everyday. But I’m not opposed to eating leftovers. I plan a meal for dinner and have the leftovers for lunch the next day. To keep a little variety in my meal planning I usually choose a different protein for each meal (poultry, beef, seafood). 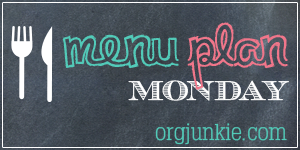 See my Healthy Meal Planning System to easily plan menus full of variety.